This is DAGON the great fish, it shoots you with a cold attack that slows you! I haven't added a HUD status effect indicator yet but that will come very soon. There's a lot of dodging and blocking in this fight, but don't get boxed into a corner! Note you can avoid the damage of the projectiles when you block them, but the slowing effect still goes through. This boss has a lot of balance issues though, it currently just floats towards the player and doesn't really give you the opportunity to get out of its path. I will need to make the boss move up when struck, maybe, so that you can walk under them. 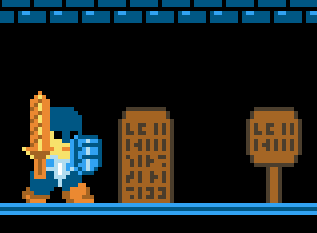 A lot of people had trouble defeating this boss even when I reduced its hit points significantly! 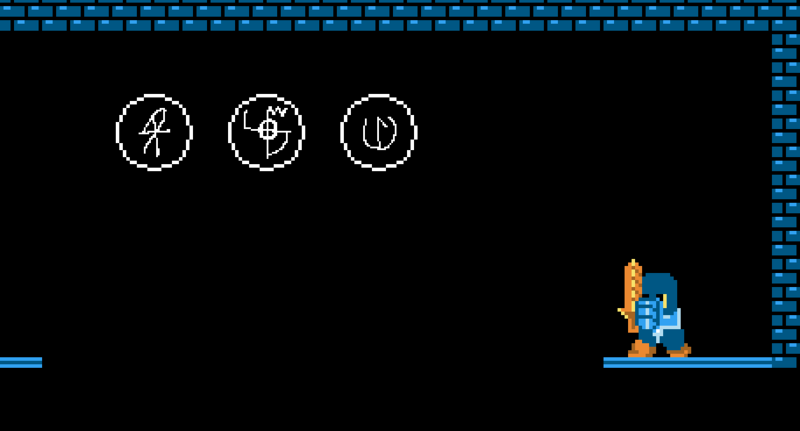 I am also working on a mechanic where completing certain challenges activates glyphs scattered through the Labyrinth. When you have activated a set of three specific ones an important path will open up! That's it for now, I will try to write one of these every month!